After loosing all my documents and family pictures due to a hard drive malfunction, I learned the hard way to NEVER rely on a computer as "storage". Let's be real, computers get infected all the time, they can get stolen, or in my case be permanently damaged. These days having a "cloud" or online management system is crucial and not having one is like playing Russian roulette. I was contacted by AboutOne to review their new online management system and let me tell you it is absolutely wonderful. I deeply regret not doing this before but oh well you live and learn. 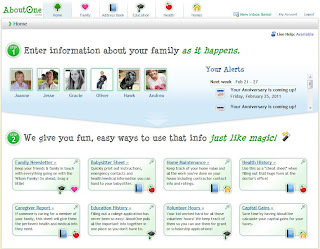 AboutOne is a secure online family management system that makes it easier for families to manage daily life by providing a centralized location in which to quickly and easily store and manage beloved family memories and vital household information. Family members are able to access this information anywhere, anytime—at home or away, from any web-enabled device. With its time-saving features like APIs and wizards, AboutOne makes it possible to quickly enter information with a phone, a scanner, or computer, within the regular flow of the day. Users simply open their account, and in seconds, are able to enter information as life happens in order to be more prepared for the future—whether it’s documenting a baby’s first steps, scanning a household receipt or recording an idea in a gift log. With AboutOne, moms have important information at their fingertips and are able to make informed decisions quickly and effortlessly. Enter your VIN and AboutOne auto-fills your car’s model information. Record vehicle registration/maintenance and home improvement/maintenance, including what has been done, by whom and the cost. Get alerts and reminders of upcoming maintenance requirements. 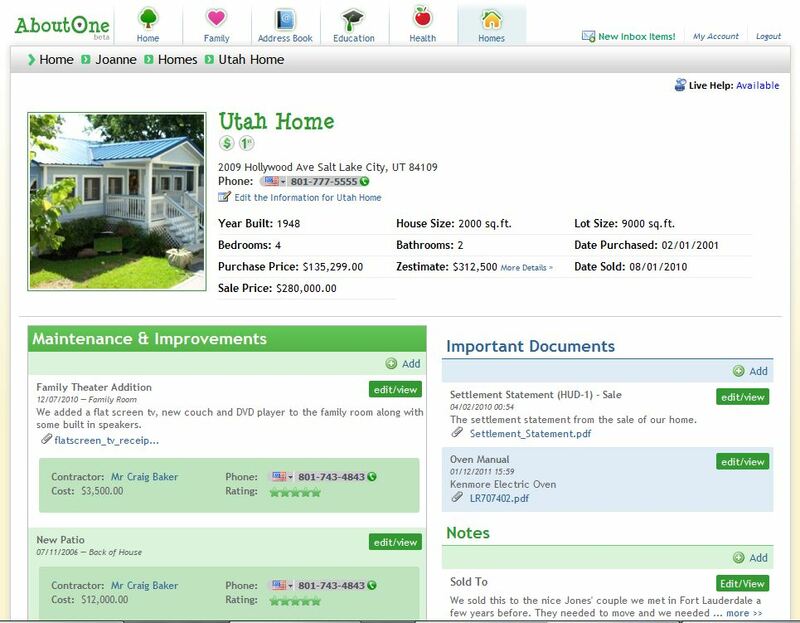 Understand you home’s current value with data from Zillow. 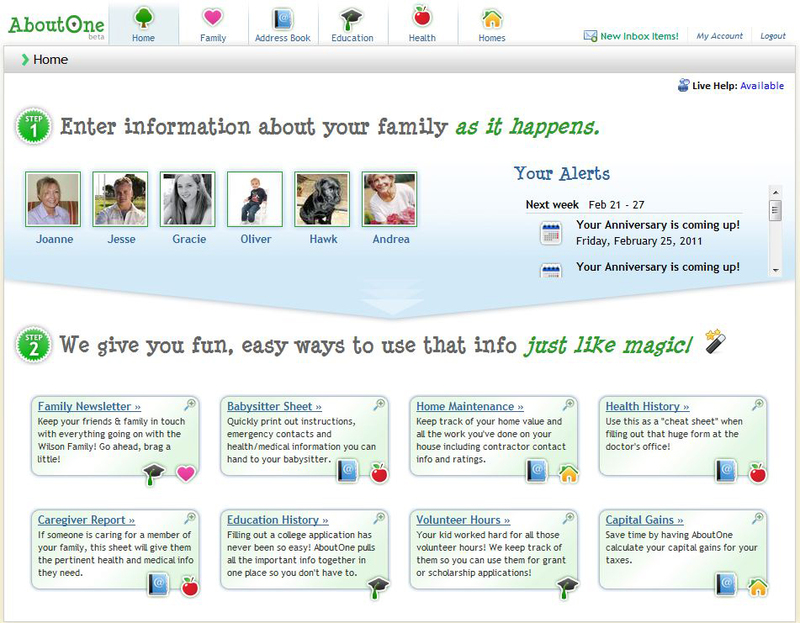 Make informed decisions with a complete picture of each family member’s health. Store information on conditions, medications, doctors, immunizations, appointments, insurance, emergency contacts, and more. Get alerts and reminders about upcoming appointments and prescription expirations. Learn more about your medications with automatic links to WebMD. 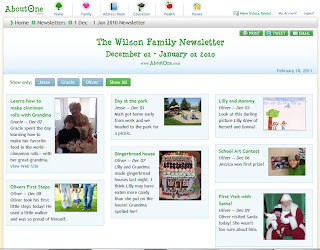 Digital scrapbook – add multimedia memories and milestones (photos, written memories, videos, and artwork) by emailing from your smartphone or scanning directly to your account. Each memory is automatically timestamped for easier memory keeping. Share through automatically created newsletters and hard copy photo memory books. 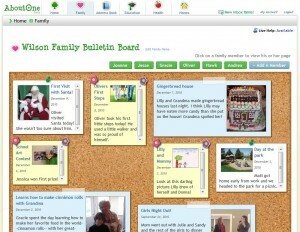 Electronically “gift” the digital scrapbook to your child as a permanent keepsake when she is an adult. 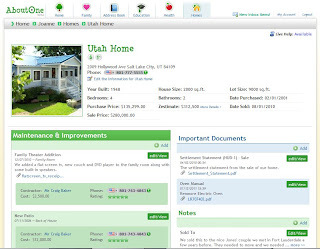 AboutOne is reasonably priced at only $30 per year. However, you can try it for free before you commit. So go ahead, don't be shy and feel free to explore all the cool features. 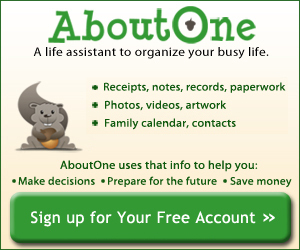 Disclosure of Material Connection: I received a free membership from aboutone®.com. I was not required to write a positive review. The opinions I have expressed are my own. I am disclosing this in accordance with the Federal Trade Commission's 16 CFR, Part 255 : "Guides Concerning the Use of Endorsements and Testimonials in Advertising."